UPDATE: Sir Richard Branson released a book this week, "The Virgin Way: Everything I know About Leadership," which chronicles his career and tracks his entrepreneurial journey. Today, Sir Richard Branson’s current net worth sits at $5 billion. 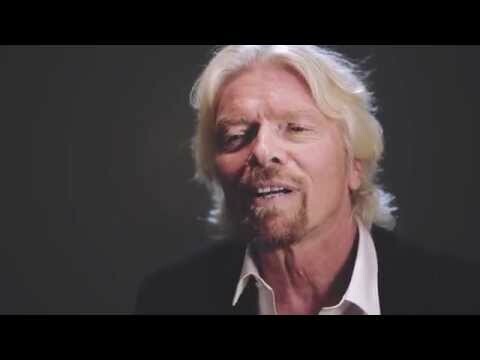 “You only often need a tiny amount of money to get going,” Branson tells Free Enterprise in a #90SecondsWith video, during which he discusses his latest venture as well what essential item is always in his carry-on. Now the founder of the Virgin Group empire — with more than 400 businesses involved in everything from airlines to mobile phones — is giving aspiring entrepreneurs their own shot at success. His latest venture, Virgin StartUp, is a not-for-profit organization that works alongside the British government to connect local entrepreneurs with funding, mentors, and the other resources they need to launch a venture.